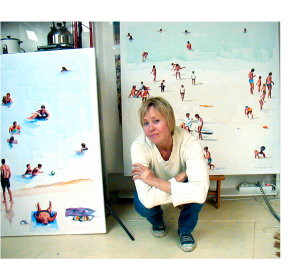 Gallery Colette Dubois (Paris) “Beach, Place, Plain”. Gallery Clara Scremini (Paris) – drawings: “Invitation to travel”. Galerie Elizabeth Couturier (Bourgoin) “Spaces “. Gallery Corinne Le Monnier (Le Havre) “Water stories”.